Heirloom pieces are always resurrected with museum quality work. 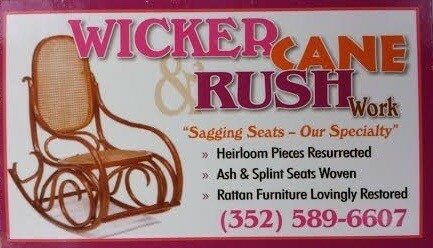 All types of cane work, ash and reed splint woven seats, and rattan furniture lovingly restored. Owner Tricia Vandewater learned chair seat weaving from her mom over 45 years ago as a child.